I was enchanted with the Tiki bar and all the patrons, human and animal. 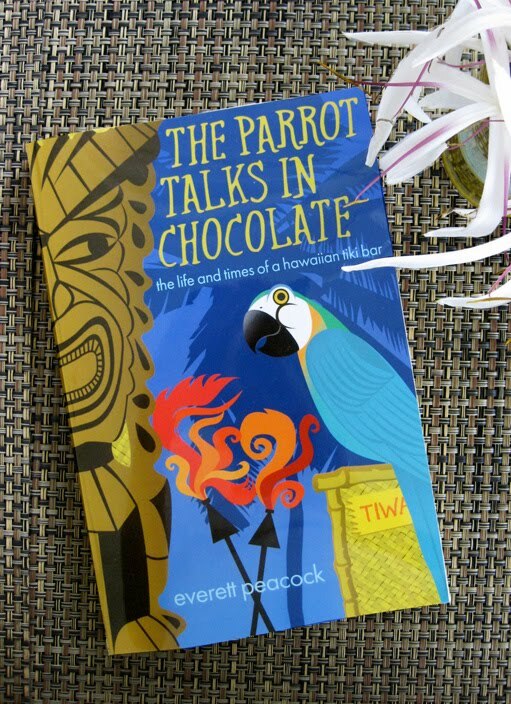 We meet Tiwaka, the parrot that answers your questions when he eats his chocolate and who wouldn't love Ococ, the "backward dog. As far as the human patrons we met a official Tiki bar inspector, a elderly man who may or may not be a ghost and of course the story teller who runs the Tiki bar. The bar specially is a Coco Loco Moco in which the ingredients are added according to the answers given to questions during the preparation in order to personalize the drink. This story was a perfect "take me away" from life, a place were I would love to live and experience the beautiful imaginary that was created by the author. A quick short book but long enough to keep you interested and wanting more. If you crave a reader's paradise for the mind this book is the one for you to read. Thank you Mr. Peacock, for the complimentary copy and a great story.